At first glance, everything appears normal in this large village in North Shoa Zone of Amhara region, around 200 kilometers northeast of Addis Ababa. In the morning, a group of women sit at the crossroads of two footpaths selling small piles of tomatoes, onions and bananas. The souks are open. Sitting behind their weighing scales, grain dealers wait patiently on the doorstep of their warehouses. There is nothing to buy until the next harvest in two weeks’ time. The farmers are also not busy, so there is no queue of daily laborers at sunrise along the main street waiting to be hired. This is all in keeping with the timeless rhythms of rural Ethiopia. It is only later that there is a sign of discord: as soon as the sun goes down, the town empties and people lock themselves in at home. Anarchy is in the air, and fear of insecurity is rife. “We must protect ourselves,” say local farmers who have lost faith in the state. The story behind this unnerving situation starts four months ago, but it is rooted in years of simmering tension between the local authorities and large segments of the community. 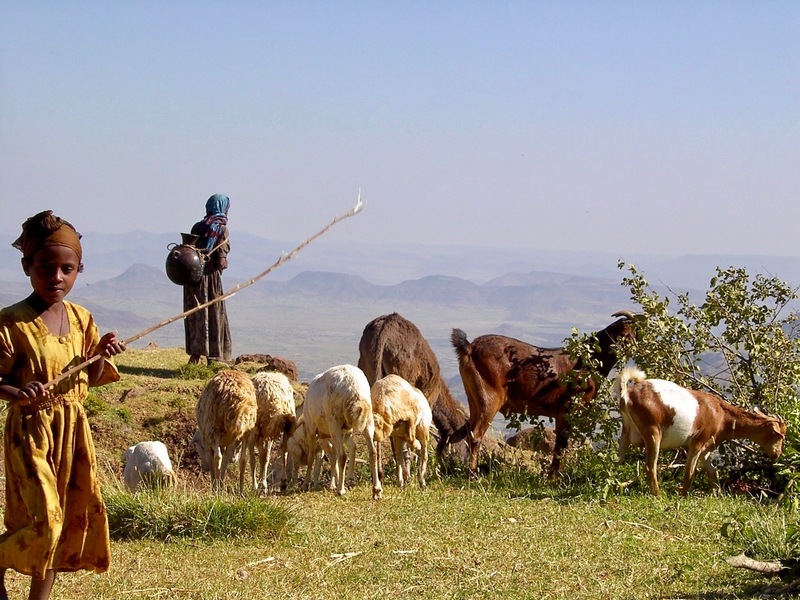 While the media focus is on reforms at the federal level, which will indeed be critical in defining Ethiopia’s future, this under-reported potential to rebalance power between rural people and the mengist is likely to play an even more integral role. At the beginning of July in the woreda capital, a group of middle-class citizens— teachers, merchants, business owners—spontaneously organized a meeting in support of new Prime Minister Abiy Ahmed, just like the June 23 rally held in Addis Ababa. When the woreda administrator wanted to take the floor, the crowd started to shout: “Leba! Leba!” (“Thief! Thief!”). He couldn’t even start his speech. Suppressed chants expressing newfound ethnic solidarity were sung: “Dr. Abiy, we are with you!”; “We will fight the daytime hyenas (the “Woyane”)! ; “Maichew up to Waja, Wolkait, Raya, belong to the Amhara!”. A dormant conflict was erupting. Around a decade ago, the woreda authorities had fired the previous kebele chairman. In his place they appointed a young, energetic and ambitious farmer, who had become relatively prosperous through hard work and creativity. The population, however, was hostile, as they were aware of his brutality. 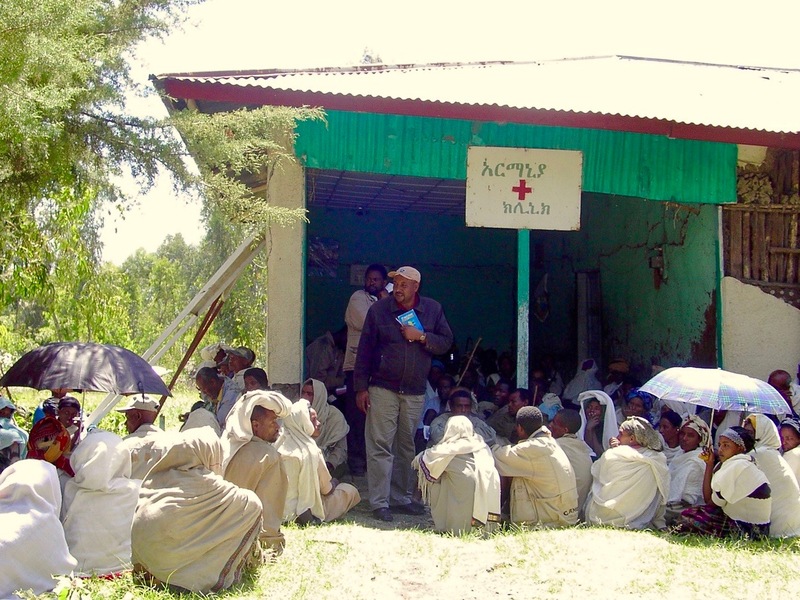 A farmers’ assembly was organized, chaired by woreda officials. They imposed their candidate, saying: “you are lazy and drunk people; you are uneducated and backwards; if the choice was yours, you would elect a lazy, drunk and uneducated chairman like you. For your own good, we have decided to appoint this new chairman”. At that time, a subservient, cowed community felt they had no other choice than to once more submit to the diktat of their rulers. But their resistance grew, and now the national reform movement launched by Abiy has further emboldened them—and the fear has switched sides. Three people informally lead the kebele revolt, and their followers are young and predominantly male. The most prominent is a grain trader and mill owner, who is 35-years-old. The others are a retired soldier and a rich farmer. None of them belongs to a political party. The first says he is also a patron who helps fund the education of 33 young people from the woreda. But also during this gathering, for the first time a handful of participants dared to publicly reproach the kebele and woreda administrations, accusing them of embezzlement. This rare show of public dissent was the seeds of the revolt. For the grain trader and his allies, the news about Abiy’s rise, particularly his acceptance speech in Parliament and his ‘rescue’ of Ethiopian prisoners from the Middle East, made the youthful Prime Minister seem like “a member of our own family…each day has become a holy day…Abiy has succeeded in bringing down the tribalist TPLF without bloodshed”. Many are passionate about the new National Movement of Amhara, which promises to restore lost pride—but they are more passionate about Abiy. And just as Abiy has tackled entrenched power within the ruling coalition, the locals are challenging arrogant and unresponsive authority in the village. “People felt free to express their grievances…the chairman uses the power for himself, not for the people” said one of his opponents. There was a flood of allegations regarding matters such as beatings, misappropriating communal land for cronies, and embezzling from the cooperative that sells seeds and fertilizer. Claims of corruption were rife. The accusations focused on two routine acts of extortion. Local authorities demand a bribe of 500 to 1,000 birr to deliver the necessary documents to obtain a kebele ID card. The maximum wage of a daily laborer is around 150 birr. The second relates to the fact that the only restaurant of the village is known as “the office of the chairman”. Anyone who needs something important from the kebele administrators is called there. Then, according to multiple testimonies, the chairman phones his friends to come and share food and beer. The bill can reach as much as 4,000 birr—close to two months’ salary for a primary school teacher—and the desperate citizen has to pay it, or their request will not be granted. Fed up with such ploys, the escalation continued, with several meetings in the presence of woreda officials. During one of them on July 23, the kebele chairman revealed his defense. “I have been elected by the Party; only the Party can dismiss me”. In fact, according to the rules, the voters elect a kebele council of 300 members, almost all of them “model farmers” and party members, without any opposition candidates. The council then elects eight cabinet members, who elect the chairman. On August 1, a delegation of more than 100 people from the kebele went to Debre Berhan, the zonal capital. The chief administrator promised a new assembly and a vote to fix the issue. It gathered 700 to 800 people on August 5, but there was no vote. The zonal representative simply asked the participants “to be patient and to keep quiet”. A new delegation returned to Debre Berhan, but again to no avail. For the opponents, this tacit support of the chairman by the higher authorities is rooted in personal links and what they call “common affairs”. The local leadership then received the support of the model farmers, who are also party members. In a meeting on August 3, they helped keep the chairman in position at the request of woreda representatives. Their main argument was that he is “efficient…responds quickly to their requests” or that he “walks up and down across the whole kebele to solve their problems”. This is much more valuable than “some of his mistakes”. For these model farmers, the youthful activists’ claims are by no means baseless, as the woreda authorities indeed made a lot of broken promises. But, they say, the complainants are wrong to blame the chairman. While the claim is that the kebele boss is efficient and diligent, their support is in fact much more personally, economically and socially grounded. Particularly after the shock of the 2005 elections, the focus of state programs shifted from the “poor farmers” to the most entrepreneurial peasants: the “model farmers”—those who had potential for their production to leap forward. They became simultaneously, willingly or not, party members. The ruling party had decided to try to shift its power base from the poor to these more promising farmers, who mostly came from the traditional elite and remained opinion-leaders in the rural areas. Many of this elite, ostracized and stigmatized after 1991, have been de facto reinstated since 2005. Thanks to their receptiveness to new technologies and government backing—via fertilizers, credits, training—they have largely been successful. In addition, they could lay their hands on the land of often-indebted poor farmers through renting or sharecropping, with the tacit support of the authorities. Poor farmers frequently say: “the local authorities and the model farmers have allied to deprive us of our land”. It is common for a model farmer to cultivate an area four or five times larger than a decade ago. 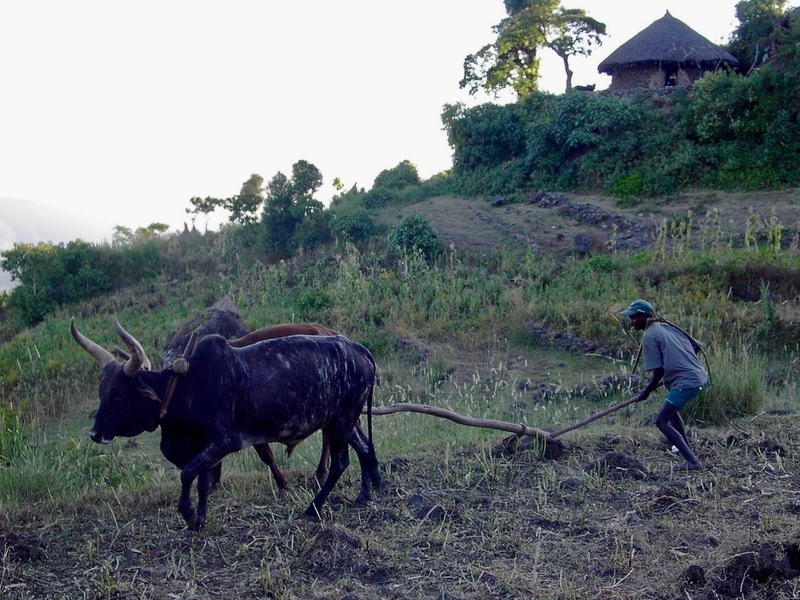 While all land remains state-owned, the EPRDF’s favored farmers have a dominant position. They now form a group of kulak farmers, rising far above the mass of smallholders, and are very conscious of their higher status. The connection between them and the local authorities is deep. But even if they are fully aware of the importance of government support for their enrichment, they insist that what unites them above all is not politics, but friendship. After each party meeting they pay contributions to drink and eat together. “We have promised not to gossip about each other,” one said. They display an effective day-to-day solidarity. Of course, they feel the chairman is one of them. But for his opponents, the support of the model farmers stems only from the fact that “they are linked by common benefits” and that the chairman is entirely, if not exclusively, at their service. For the chairman, “the conflict has nothing political, it’s all about personal matters”. With one of the leaders of the dispute, it relates to the borders of two adjacent pieces of land. With the second, over some murky business related to the kebele’s handling of an abandoned house. He refutes all allegations and proclaims his popularity: “I never beat anybody. All corruption accusations are false; the audit which has been launched will prove this. Young people oppose me only because they are bribed with money, beers or cigarettes. The change helps them: they can speak as they want, which was not the case before. I have been elected by the cabinet, only the cabinet only can dismiss me. But anyway, if free and fair elections were organized, I would win comfortably.” However, from discussions with a lot of villagers, it seems that his opponents are right when they claim the opposite. The kebele population can be classified into three broad groups. The first two are the rural elite, hand-in-hand with the local authorities, and the young people. They are separated by a triple-layered barrier: political, cultural and economic. For the rural elite, the authorities must be, first and foremost, strong. If this strength veers into brutality, and if its holders use it for personal advantages, this is only a side issue, which the elite turn a blind eye to. They will say: “a good chairman is a chairman everybody fears”, “everybody” meaning, first and foremost, the ordinary people. Almost all of the young use mobile phones to communicate and stay informed, and their position is clear. For them, this traditional authoritarianism is unacceptable: the chairman must be accountable and above all “he must serve the people and not serve himself”. The barrier stems also from a cultural breach. Traditionally, an implicit deal constrained successive generations: the young respected their parents and helped them in their old age, knowing that they would in due course inherit a piece of land from them. The shortage of land makes that almost impossible now. At least a third of young people have broken ties with their parents, a remarkably high proportion. The barrier also has a class dimension. In a society that was largely egalitarian 15 years ago, a small upper tier has acquired significant assets. On the contrary, now most of the young are in a very precarious position. In a survey made four years ago in this kebele, three-quarters of the young aged from 16 to 30 said they were “jobless”; in the sense that their income was too meager, too occasional, or too unpredictable to allow them to marry and establish a family. The third group, occupying the middle ground, consists of those who take a wait-and-see approach, either due to fear or cautiousness. For them, the winner at the end of the game is still a matter of doubt. They are especially cautious because the local authorities frequently remind them: “If the Prime Minister has changed, it is still the EPRDF which rules”. The upshot of all this is that two legitimate sources of influence are in conflict: the party and its members, a minority, versus a large majority of the population that has decided “to dismiss the chairman from his position by ourselves”. The two sides were deadlocked, although only one had momentum: the chairman hunkered down in his office, while the young people mobilized. When they organized the popular Meskel festival on September 27, during which villagers gathered around a bonfire, they forbade the chairman from taking part. The approximately 50 militiamen are idle: even if the chairman, their boss, gave them orders, it is doubtful they would obey for fear their intervention could later be denounced. Petty problems, like fights between drunks, are spontaneously handled by the youth, who bring the culprits to the only policeman in the village. Weapons contraband is skyrocketing simply because ordinary people feel the security services are no longer protecting them. The price of the most sought after firearm, a Turkish pistol, has jumped from 5,000 birr one year ago to 15,000 birr. If many ordinary people are worried by the absence of authority, the party is at a standstill. It doesn’t hold its monthly meetings. The members no longer pay their fees. The weekly “developmental work”, theoretically compulsory for all adults but in fact relying on the most deprived and vulnerable, has ceased altogether. This turmoil affects almost the whole woreda, the most remote kebeles being the least troubled. Rejected by the population and deprived of the guidance they usually receive from above, the woreda authorities are disempowered and have shut themselves away. The conflict has coalesced around two main issues: administrative arrangements and leadership. Of the 19 rural kebeles of the woreda, two have demanded their incorporation into a neighboring woreda. The community in five kebeles has managed to get their chairman replaced this year. On November 3, the chairman of the kebele was finally fired by woreda representatives during a community meeting. The popular pressure was so strong that the local authorities had to succumb. In an incident that recalled recent unrest in rural Oromia, the young in particular threatened to smash the kebele office and other official buildings if the chairman was retained. Who will be appointed as the new chairman? Will the community finally be strong enough to express itself completely freely, or will the local authorities try to manage the election and succeed in withstanding this surge of people power? Nov. 5, Abiymania? Damn right! René has been writing about sub-Saharan Africa since the 1970s and reported on the region for French newspapers. He is now a researcher and publishes in academic titles such as The Journal of Modern African Studies. The country needs organized bipartism or tripartism, between majority and opposition, that can channelize all this energy in a positive direction, and give an outlet to dissatisfaction without taking to anarchy. Ethiopia is on the move, change is happening very fast for those nostalgic of TPLF era. Dommage, TPLF nostalgic try to find pitfalls and hit the breaks to stop Ethiopia’s democratic trajectory. You ain’t see it yet! Many many changes including land tenure and all peacefully. Bravo Abiy, Bravo Ethiopia!